If you’re headed to Yellowstone National Park, note that the Mount Washburn trails and trailhead parking areas will be closed as of Thursday, July 12, 2018. YELLOWSTONE NATIONAL PARK, Wyo. (AP) – The Mount Washburn trails and trailhead parking areas in Yellowstone National Park will be closed for the summer, beginning Thursday. 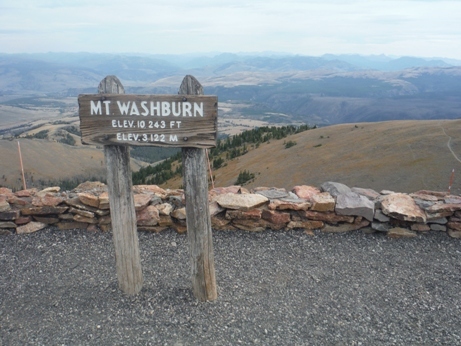 The popular hiking trail located north of Canyon Junction is being closed by the National Park Service because of construction work at the historic Mount Washburn Fire Lookout and along the Dunraven Pass trail switchbacks. Various improvements are being made to the lookout, including new windows and concrete preservation work in and outside of the structure. Workers will be using heavy equipment to rebuild rock walls along the Dunraven Pass switchbacks and will rehabilitate other portions of the trail.